The Pride Jazzy Elite HD has a 450 pound weight capacity and features a stylish design that is both powerful and easy to maneuver. 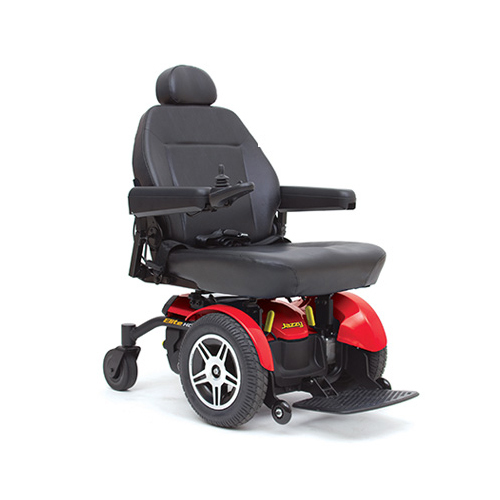 This comfortable and durable power wheelchair provides even weight distribution and comes with 14 inch knobby tires for maximum traction that can help you traverse a variety of terrain. 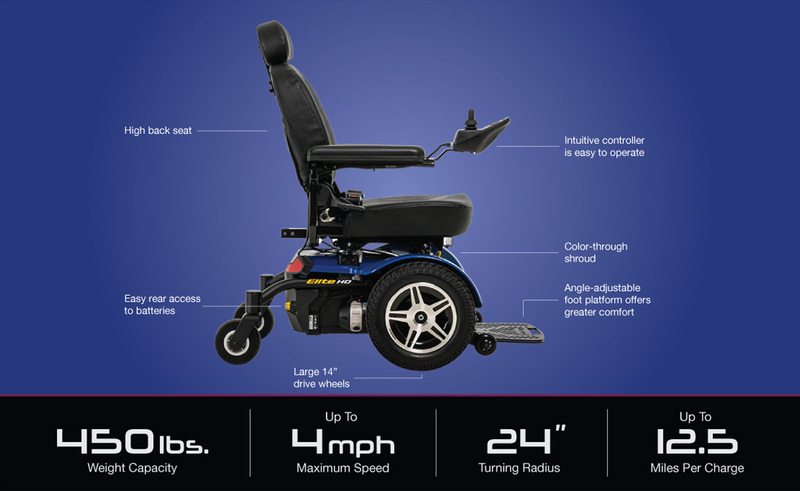 Enjoy greater mobility for an affordable price with the Jazzy Elite HD.